PAC Lambasts Ten-Year MOD Equipment Plan Budget By Howard Wheeldon, FRAeS, Wheeldon Strategic Advisory Ltd. 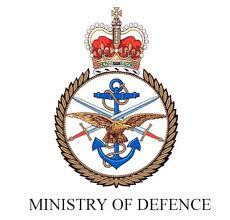 Very few who engage or observe UK defence matters professionally as I do will have been that surprised this morning to hear that the House of Commons Public Accounts Committee (PAC) has once again condemned the Ministry of Defence 10 Year Equipment Plan budget and reminded that it is a serial offender in respect of balancing its books. Even with is being a Friday and one that lacked any new overnight Brexit related news, it was interesting that the BBC which would otherwise have most likely pushed anything related to defence further down the list, chose to lead with this particular piece of news and that in effect was yet another criticism of government. I noted that the BBC’s Defence Correspondent was quick to emphasise programme cost overrun citing the two new aircraft carriers for the Royal Navy as an example and without saying as much, leaving the implication that this was as much the fault of industry as it was that of the MOD. So be it but whilst some of what the PAC concluded can hardly be argued, it is a pity that the committee has also failed to recognise huge amounts of work put in by the MOD, Cabinet Office and HM Treasury to balance the MOD books. To achieve this means that they are often at loggerheads internally and also that defence as a whole suffers as a result. For its part the MOD says that “We are confident that we will deliver the equipment plan within budget this year, as we did last year, as we strive to ensure our military have the very best ships, aircraft and vehicles”. Amongst other things, the PAC report blames poor financial planning and they once again talk of historic cost overruns as if it was always the MOD as opposed to politically made decision such as the SDSR 2010 plan to retrofit a system of EMALS cats and traps onto the new Royal Navy aircraft carriers and that caused a delay of well over a year to the programme, raised the costs and risk substantially only for the Government to reverse the SDSR 2010 decision two years later reverting to the status quo of having the F-35B STOVL variant as the primary air capability for the revived Carrier Strike. The Public Accounts Committee generally looks at the financial implications of defence leaving the House of Commons Defence Select Committee to look at defence strategy. Over the years I have generally admired the PAC and indeed, I have appeared in front of them. But this report leaves me fairly cold because quite frankly it is more about perception and speculation than it is about potential reality and understand what defence is all about. An instance of this comes in the form of the PAC saying that defence chiefs must urgently ‘stop, delay and scale back’ some parts of their spending plans in order to help plug a £15bn shortfall over the next ten years and goes on to suggest that ‘The department’s progress with addressing the concerns set out in its last report … has been woeful’. This is blatantly unfair and as I said above, ignores huge amounts of work that has gone on, much of which has resulted in delay to the signing of contracts with suppliers. To the point about the defence chiefs I would say that whilst they have considerable impact on defence procurement requirements it is others in government that have the final say. That said, PAC Chair, Meg Hillier quite rightly mentioned the flowery language, lack of clarity and detail contained within the recent ‘Modernising Defence Programmes’ review process, something that I had myself criticised when the final document was published in December. However, in small defence of the MOD I would have to say that this lack of clarity and detail was reasoned by an unwillingness on the part of the MOD to announce bad news such as the potential cutting of down of some equipment programmes in respect of final unit numbers to be acquired and maybe decisions appertaining to planned upgrading of equipment that are all part of the deeper workings of what I suspect MDP is really about just as much as it also relates to the positive news yet to be released. As I said in an earlier defence report on the subject, MDP will be remembered for what was removed or should I better say redacted from the final document rather than for what it contained and what little managed to be left in! Not surprisingly, in order to discuss the PAC report in more detail, Meg Hillier was, along with Lord Dannatt, a former Chief of the General Staff, interviewed on the BBC Radio 4 Today Programme earlier this morning. Both did the respective jobs of explaining their different views well enough but it was Lord Dannatt who in my view won the argument on three counts – firstly, by reminding of the huge damage to defence done by SDSR 2010 that severely weakened UK defence capability and, in my view, caused great damage to the defence industrial base and secondly, that delaying spending decisions [a common practice in defence] most usually means that the MOD ends up having to pay a lot more in the long run and finally, that Secretary of State for Defence Gavin Williamson had “a very strong case to make” for increased budgets for the armed forces. There is the conundrum in all this and it is right to remind here that in circumstances such as this and that with the MOD being almost alone amongst government departmental spend units that has always to be flexible and adaptable to changing events, meaning that it may need to change tack suddenly and spend on something that had not been able to be foreseen means that the likelihood of the MOD ever being able to stay within budget is minimal. The need to spend vast sums on cyber and other increased security and intelligence measures is a typical example of this. Unlike other government departments MOD spend can also be seriously impacted by the value of sterling, a factor that since the decision to leave the EU was taken in the 2016 referendum and that could hardly have been envisaged at the time of SDSR 2015 has had serious negative ramifications on the defence budget. Lord Dannatt touched on the associated problem that with the UK armed forces having seriously contracted over the past few decades means that lower quantities of equipment are purchased. This impacts on the underlying price that the MOD With reduced economies of scale available this means that the MOD usually has to pay more per unit. The MoD has as far as I am aware already accepted that the budget gap on its 10 year £193bn equipment plan is at least £7bn and also conceded that this could well rise to £14.8bn. However, the Public Accounts Committee went one stage further in its criticism suggesting that the [MOD] calculation looks to be ‘unlikely and overly optimistic’ – in other words too low. Previous PostTariff Wars Seen as Drag on Future Foreign Earnings for US Majors By Julian Nettlefold, Editor, BATTLESPACENext PostThales UK High-G Training Facility Opened at RAF Cranwell By Howard Wheeldon, FRAeS, Wheeldon Strategic Advisory Ltd.